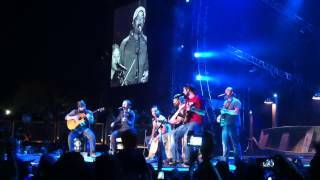 Zac Brown Band with Darius Rucker playing Wagon Wheel (Rock Me Momma) at the Southern Ground Music and Food Festival in Charleston, SC on Saturday 10/20/12. Awesome Video For “Wagon Wheel” From Darius Rucker! Can You Pick Out All The Celebrity Cameos?